Description Brazilian Clay Pots are undoubtedly one of the most significant representations of the culture of the Brazilian State of Espírito Santo where they are known as Panelas de Barro Capixaba. 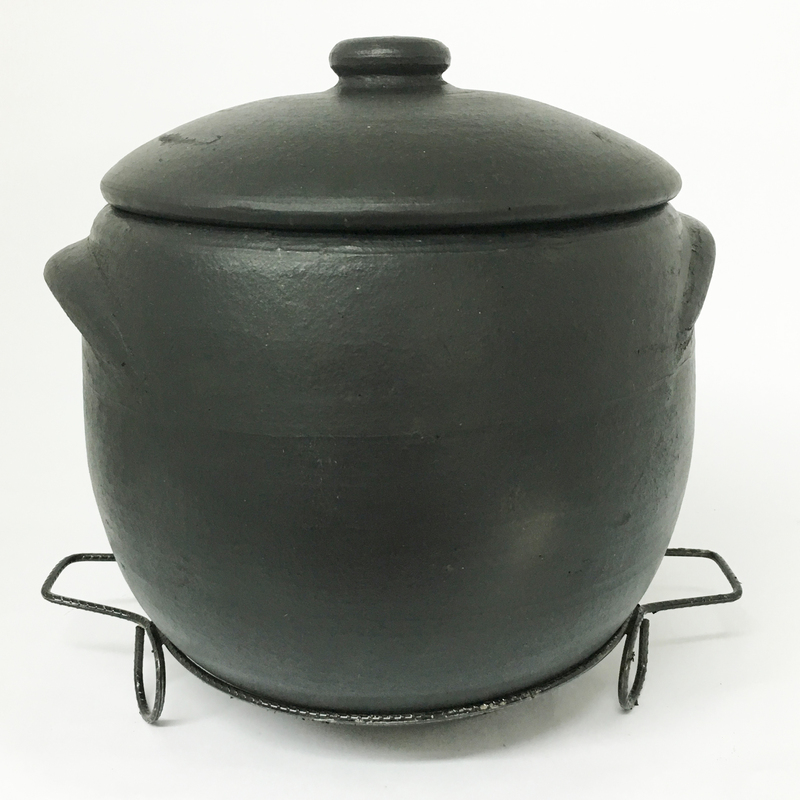 The tall stock pot has 8 qt capacity and is 11 inches wide, and comes with its own lid and wire trivet which make an exotic presentation. Originally made by the indigenous people in the coastal regions using black clay and mangrove tree sap which resulted in very rustic pots. Today, our artisans use similar techniques and raw materials, however, they are molded to produce uniform sizes and shaped, and are kiln dried which makes them harder and more resilient.